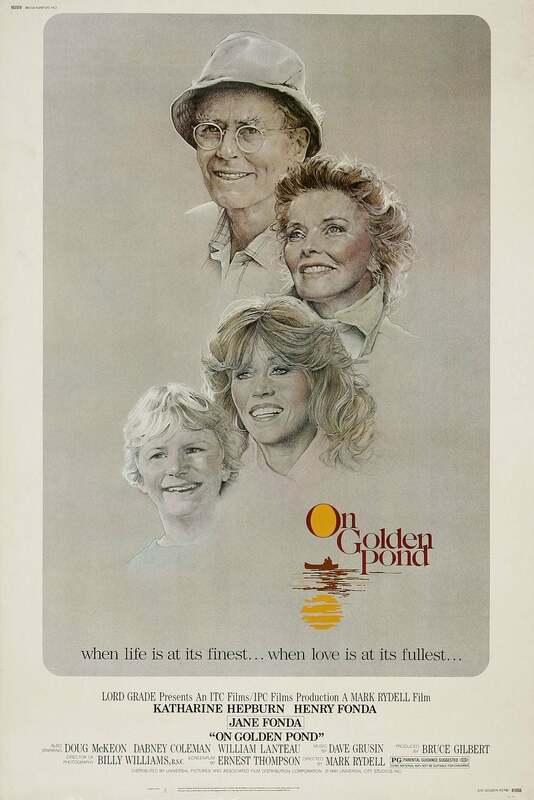 On Golden Pond was Henry Fonda's final film role, and he made the best of it with his convincing, moving portrayal of a curmudgeon for which he won the Golden Globe Award for Best Actor, and went on to win the Oscar. Directed by Mark Rydell, the film was written by Ernest Thompson who adapted it from his 1979 play of the same name. Henry's daughter, Jane Fonda, acquired the rights to the play specifically for her father to play the role of the cantankerous Norman Thayer. At the 39th Golden Globe Awards, held at the Beverly Hilton Hotel on January 30, 1982, On Golden Pond won three Globes, for Best Film – Drama, Best Actor (Fonda) and Best Screenplay (Thompson). It had received six nominations, including Katharine Hepburn, who plays Norman's wife in the film, for Best Actress – Drama, but the Globe went to Meryl Streep for The French Lieutenant's Woman. Jane Fonda was nominated in the Best Supporting Actress category, but Joan Hackett won for Only When I Laugh. Both Henry Fonda and Katharine Hepburn later won the Oscars as best actors. On Golden Pond (filmed mainly at Squam Lake, New Hampshire) competed against Ragtime, The French Lieutenant's Woman, Prince of the City and Reds. Apparently, Henry Fonda and Katharine Hepburn not only had never worked together before but also had never even met prior to this film, despite having many mutual friends and acquaintances. It was also the first time that father and daughter worked together and the last. Critic Roger Ebert wrote: “On Golden Pond is a treasure for many reasons... I could believe in its major characters and their relationships, and in the things they felt for one another... I left the theater feeling good and warm, and with a certain resolve to try to mend my own relationships and learn to start listening better...” all feelings shared by the audience worldwide.